Torino, city of music, art, culture and eminent museums, surrounded by countryside and in continuous urban evolution, resumes its extensive calendar of cultural events of major artistic value and a draw to tourists. 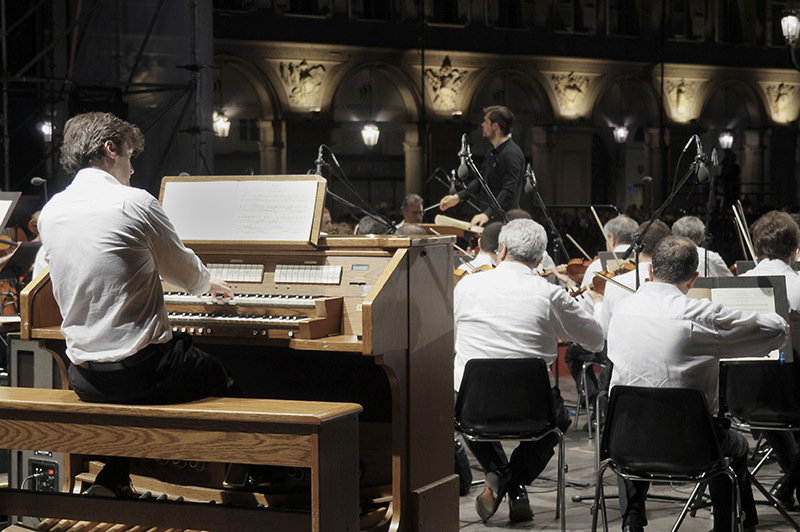 From 12 to 17 July, in the setting of Piazza San Carlo, one of the most beautiful and important squares of the city and considered the “salon” of the Piemonte capital, top orchestras will be presenting operas, symphonies and concerts of classical music to an assorted public. 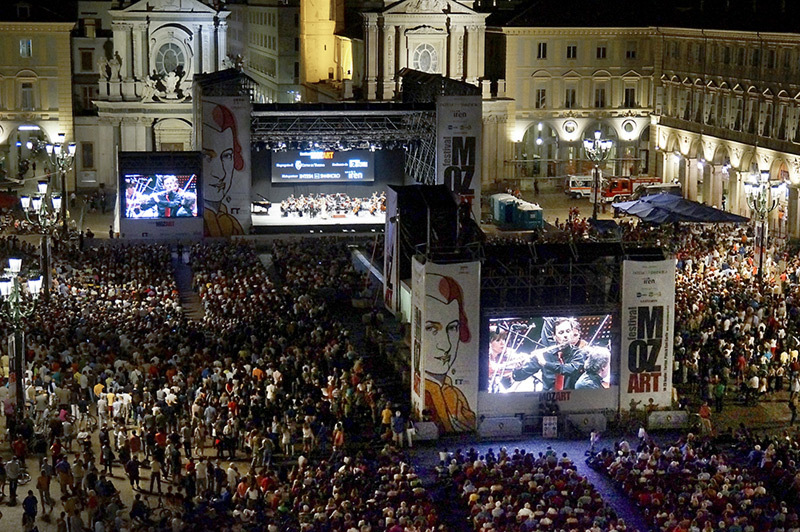 The fourth Torino Classical Music Festival begins on Tuesday 12 July: six days of glorious music in Piazza San Carlo. 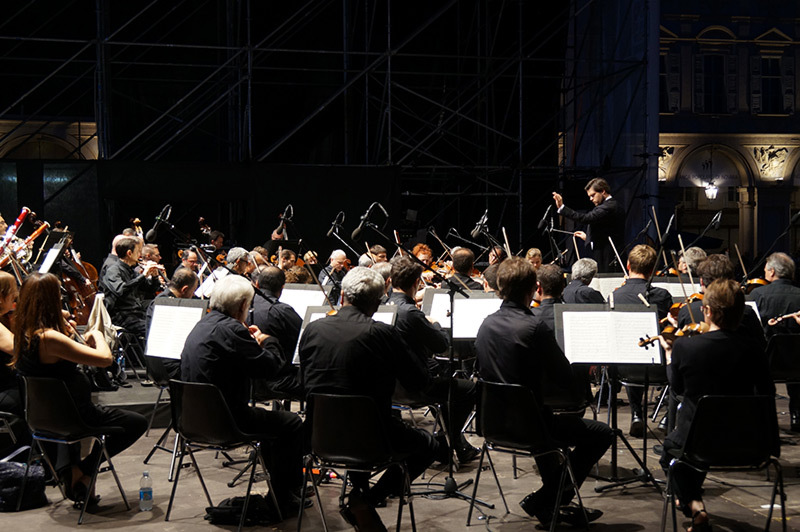 Until 17 July, the public will be enticed with operas, symphonies and concerts offered by the Orchestra and Choir of the Regio Theatre, the RAI National Symphonic Orchestra and the Torino Philharmonic Orchestra, with the participation of great performers and soloists. 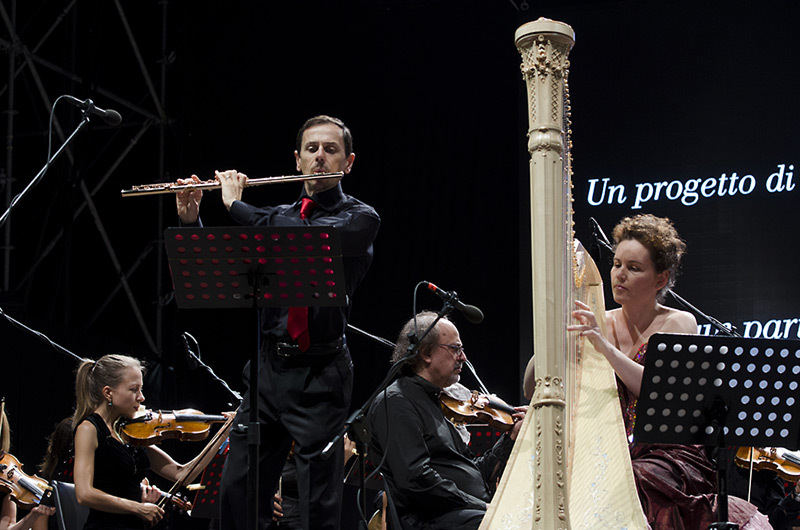 In the year of the 150th anniversary of relations between Japan and Italy, the Piemonte capital greets the summer by laying a symbolic musical bridge between East and West: the fourth Torino Classical Music Festival is a tribute to the atmospheres of the Land of the Rising Sun and other worlds that have influenced and inspired the notes of the greatest composers. 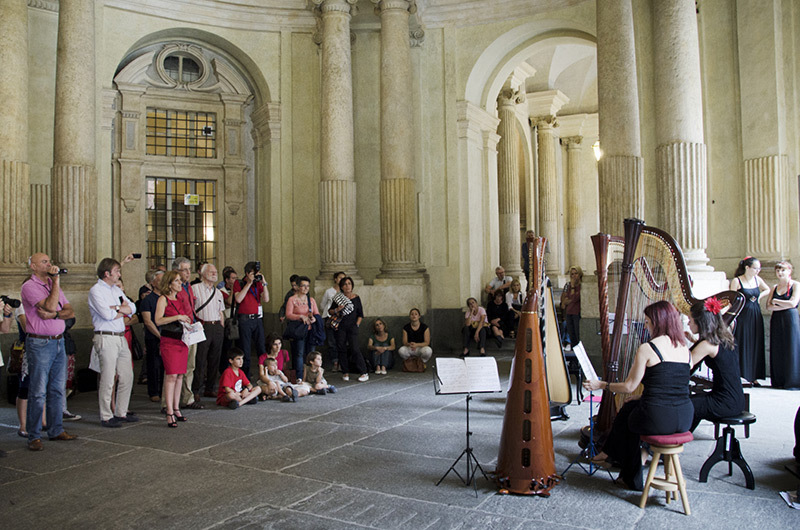 In addition to the performances in the square, the programme also offers appointments with Music at Court (from 13 to 17 July) and a tribute by the Academia Montis Regalis to Vivaldi’s Four Seasons (15 July at 6pm, Intesa Sanpaolo skyscraper). The performances in Piazza San Carlo begin at 9.30pm. Every evening – fifteen minutes before each performance – at 9.15pm there will be screened a “listening guide” produced in collaboration with Alberto Mattioli, journalist and music critic (12, 14, 15 July) and with Giampaolo Pretto, music director of the Torino Philharmonic Orchestra (13, 16 and 17 July), for an introduction to learn more about the imminent concert. 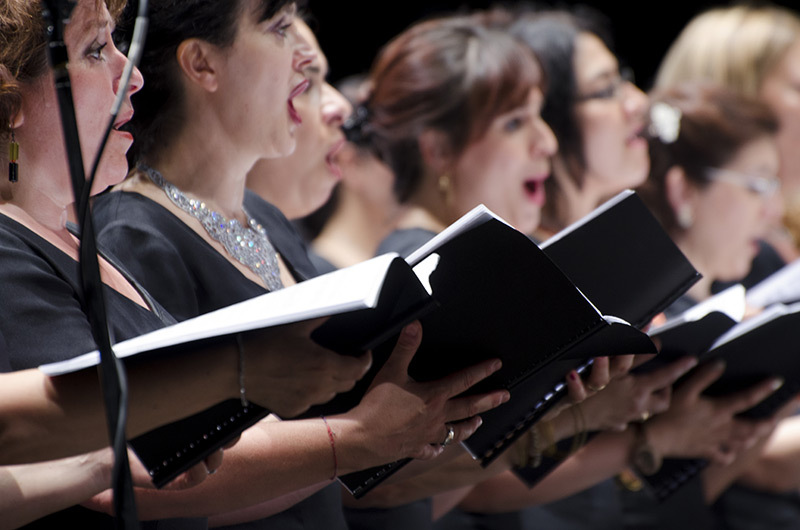 Tuesday 12 July opens with Madam Butterfly from the Orchestra and Choir of the Regio Theatre. On 13 July there will be the Torino Philharmonic Orchestra playing the great concert pieces for solo instrument: the trumpeter Roberto Rossi gives a solo performance of the Trumpet Concerto in E flat major by Haydn, and Miriam Prandi will be performing the Cello Concerto by Saint-Saëns. On July 14 it is the turn of the RAI National Symphony Orchestra presenting works by two great Strauss: the German composer Richard Strauss and the Austrian Johann Strauss. 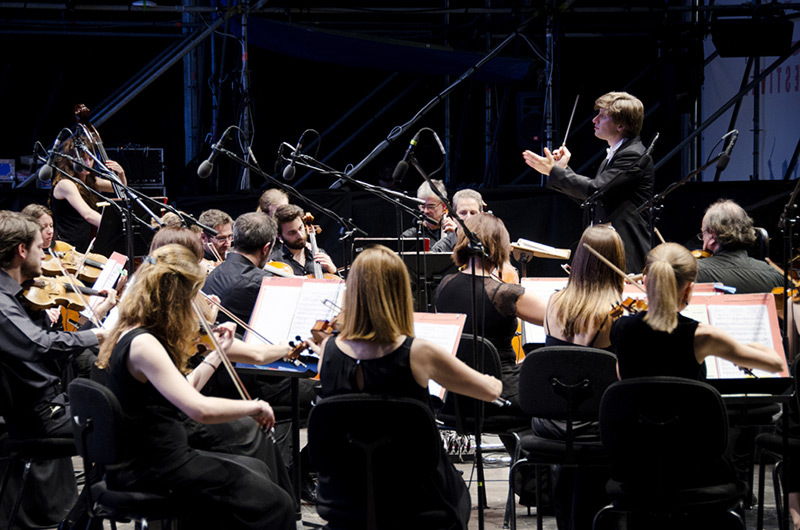 The Orchestra of the Regio Theatre will be back on stage on Friday 15 July: Donato Renzetti conducts a programme that includes pieces by Antonín Dvořàk, Jean Sibelius and Leonard Bernstein in an idealised musical journey connecting Europe with America. 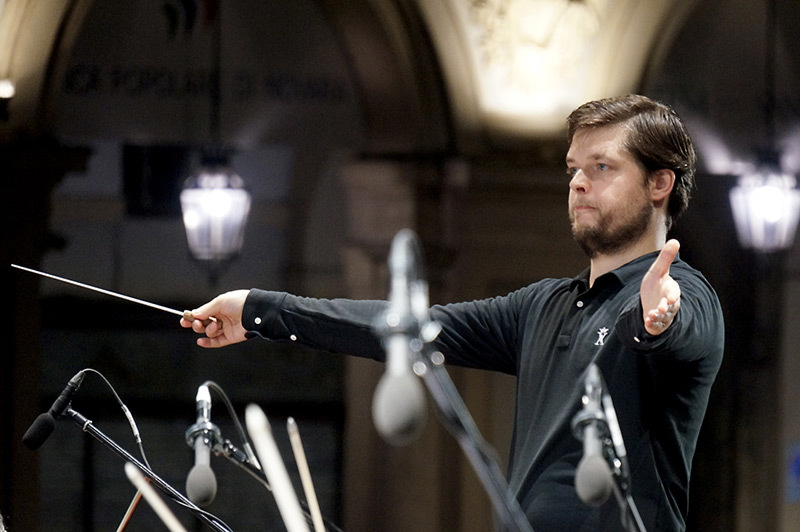 Saturday 16 July, the RAI National Symphony Orchestra, conducted by Juraj Valčuha, brings Russian composers to the Piazza such as Sergei Prokofiev and Alexander Borodin, pays a tribute to Italy with the symphonic poem Pini di Roma by Ottorino Respighi and ends with the famous Boléro by Maurice Ravel. The TCMF concludes on Sunday 17 July with a concert by the Torino Philharmonic Orchestra and two soloists from the East: Suyoen Kim performing Tchaikovsky’s famous Violin Concerto and Chloe Mun playing Rachmaninoff’s Piano Concerto No. 2. The evening ends in an energising and sparkling tone in the pure style of the Torino Philharmonic Orchestra with a selection from Slavonic Dances, Op. 46 by Dvořák. To make sure the audience can fully enjoy the event, three large screens will be set up: two at the sides of the stage and one behind the monument of Caval ‘d Brôns. And, like last year, comfort will be assured at each evening’s event by 2,400 chairs placed in the square. The Festival – conceived by the City of Torino and produced by the Torino Foundation for Culture thanks to the confirmed presence of important Main Partners such as Intesa Sanpaolo and Iren that have always supported the City’s music offer, and thanks to new sponsors such as Alfa Romeo, Nexive, Valmora, Relais San Maurizio and Fresia Alluminio – aims to provide the opportunity for everyone to approach the grand repertoire of classical music.